Chang-jin Park, who was kicked off the LAX - ICN flight by the former vice president of Korean Air, has finally returned to his job as of February 1st as a chief flight attendant. The chairman and father of "Nut Queen" Heather Cho, Yang-ho Cho had promised at the court that there will never be any unfavorable treatment against Park and he as the chairman of Korean Air promises to do everything under his power to ensure Park's life at work would be returned to normal when he was questioned by the judge as a witness. However, this promise seems to be already broken. According to the supporters of Park, he returned to work from his sick leave on the 1st of February and was handed a very difficult schedule. 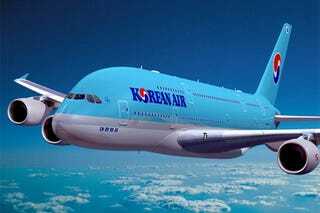 Normally, Korean Air's flight attendants' schedule for one month consists of 2 or 3 long distance flights along with short distance flights in between. Most flight attendants prefer to be on a long distance flight because of higher flight compensation pay and longer rest times. However, Park's flight schedule consisted of all short distance flights with only one long distance flight to Rome. Korean Air denies any possibility of intentionally assigning a difficult schedule to Park and says the process of schedule assignment is all random and automated. Many are finding this explanation hard to believe. Park is scheduled to fly with so-called "Flight Attendant with a Devil's Smile" on the only long distance flight he has on the schedule. She had initially testified against Park after Heather Cho allegedly promised her a position as a professor at Inha University, which is owned by Hanjin Group, who - you guessed it - also owns Korean Air and chaired by Yang-ho Cho, Heather Cho's father. Furthermore, Park has spoken about unusually high attention on him within the company and the management treating him as "potentially problematic employee." He expects this treatment to continue. It was big news couple weeks back when a text message from Heather Cho's younger sister got out to public. It said, "I will make sure to avenge my sister." It looks like the revenge is in progress already, and the sincerity of apologies by Heather Cho and her father seem questionable at best. After all, Heather Cho's final stance at the court was that although she overreacted, it was initial lack of professionalism by Park and his lack of knowledge about the service manual which caused the problem in the first place. She then went on to place the blame on the captain for returning the flight when she told him to, her logic being the captain should have known that it was against the regulations and also should have been aware that even the vice president of the airline did not have such authority. Prosecutors are seeking 3-year sentence for Heather Cho. The sentencing should be held after 2 to 3 weeks. It seems like "the Nut Queen" and her family are still stuck in their giant empire. Park is facing an extremely difficult battle and it seems that the best support he could get is continuous attention from the public.